Witnessing a carrot, muskmelon, tomato, beet, or any plant for that matter, transform from a tiny seed into a mature vegetable is rewarding. And as a gardener, you have a front row seat to this miracle of nature. Not only that, but all of the hard work and dedication you put into growing a garden at a high altitude pays off when you can enjoy the fruits of your labor with the people you love. 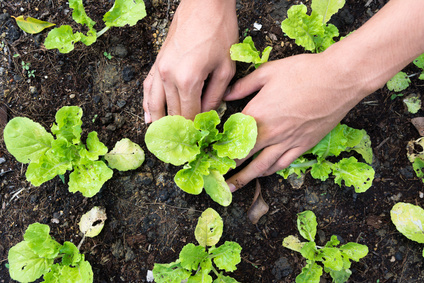 Here are a 5 high altitude gardening tips to get you through the growing season. Gardeners in milder environments may start work on their garden in the early spring. But in the high country, especially in the Roaring Fork Valley, it’s best to wait until late May, to avoid late frosts. Because of the shorter growing season in the Roaring Fork Valley, you can get a jump-start by starting your plants indoors, especially those that take longer to mature, like tomatoes, cucumbers, corn, squash, and melons. Once you’re ready to plant your seedlings outdoors, prepare them by hardening them to outside conditions. Over a two week period, place your seedlings outside during the day for a few hours. Depending on your garden’s location, you might need to protect your young plants from strong winds and cold overnight temperatures. This can easily be accomplished with a frost cover, which acts like a miniature greenhouse for one or more of your plants. You can buy frost covers at your local garden store, or you can get creative with materials you find around the house. Try cardboard boxes, inverted tomato cages draped in burlap sacks, or even unused flower pots. Experiment with different materials to find what works best in your garden. Unwanted insects can give you a lot of extra work. If you’re growing an organic garden, the best way to get rid of unwanted insects is to find them and terminate them—either by hand or with a spray bottle filled with water. Pest control requires a lot of work, but it pays off by saving your garden. Experience the joys of high altitude gardening. We hope these gardening tips help you grow a healthy and thriving garden this season! Questions about Carbondale, CO real estate? Are you planning a move to the Roaring Fork Valley? Talk to Lynn and the team at Amore Realty. Call 970-379-4766, or fill out our contact form.